The way that people communicate has drastically changed over the past century and with it so has the role of the public relations professional. While the shift means more people are communicating and engaging online, particularly through social media, traditional PR is still extremely effective in helping to boost your business’s reputation. Traditional Public Relations often consists of targeting media outlets such as newspapers, online magazines and blogs, TV and radio. Although a large part of our day now includes digital activities, such as updating social media accounts and developing online content to improve our client’s search rankings, there are also a large number of conventional methods that we still use on a daily basis. Here are just a few of the PR methods that are just as relevant today as they’ve ever been. The press release is one of the best ways that a business to business company can get a message across about its products or services. Although the way we distribute press releases has changed (before email they used to be printed and posted to newspapers before the deadline day), the principle is still the same. A lot of work goes into writing a press release, from researching the subject and audience and sourcing statistics and facts that will give the story a sharper angle, to making sure they share company news effectively but without being too salesy. As newspapers and magazines receive hundreds of releases per day, liaising with the journalists one on one to ‘sell in’ the story is also a key part of the process to help make sure it has more chance of being covered. Press releases are a great way of promoting your business, products or services and are more likely to get picked up and used by journalists and read by more people (7 x more in fact) than an advert. The success of a press release does however depend on how newsworthy the subject is and how well it is written, (check out our recent blog on this for more info). We would therefore always suggest seeking the services of a public relations agency that specialises in writing for your chosen audience. Here at Dragonfly PR for example, our team is skilled in writing press releases for regional, and trade media with a particular focus on the B2B, manufacturing and construction sectors. Working in a similar way to press releases, features, or thought leadership articles are also an extremely effective method of increasing awareness around your business. 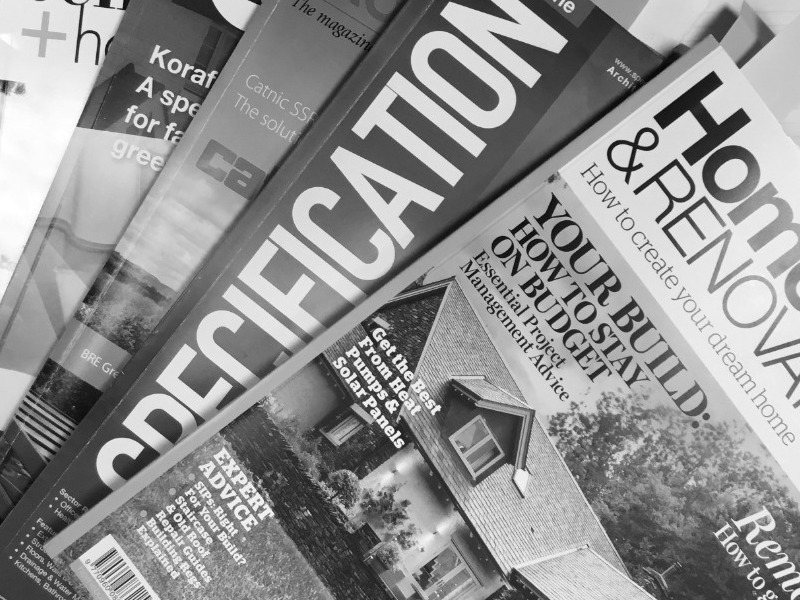 Although features are mainly drafted for printed versions of the magazines, they are also often included on the website once the title has gone to print. A lot of work goes into writing features but they are ideal for showcasing your business as the industry experts. In the digital age it’s easy to get swept up by the simplicity and speed of communicating through email and social media, but we have always found that the best way to really connect with the media is to have a good old conversation, either over the phone or in person. Journalists are busy people, so they haven’t always got the time to sit and chat, but when you manage to get hold of them and have a quick conversation the results that this can achieve can be immense. We recently organised a journalist visit for one of our manufacturing clients which saw the business feature across 4 pages in a leading trade title within their sector. To secure this we invited the journalist to an open day at the client’s facility, but unfortunately they couldn’t make it. So we decided to set them up an exclusive interview with the company’s CEO and their own personalised factory tour, on a date convenient to them. This simple approach created some great results for our client and we now have regular conversations with the editor of this particular publication when they are looking for industry comment or are running for a relevant case study. These are just some of the traditional PR methods that are still as relevant today as they have ever been. We could share details of many others including holding networking events, organising attendance at exhibitions and trade shows, media open days and a good old public PR stunt (although this one tends to work better for consumer facing brands). As an agency we are a team with the skillset that means we can combine both digital and conventional practices. There is still plenty of room for traditional public relations in the digital era and as far as we are concerned, there always will be. Long live PR! Dragonfly PR is a dedicated agency with over 15 years’ experience in helping b2b companies across Yorkshire and the North West to generate results. We can put together an outline proposal that will help you meet your business objectives and make a huge difference to how you interact with your audiences. For more information or to speak to our team about your PR and communications requirements, call 0114 349 5345 or email hello@dragonflypr.co.uk.